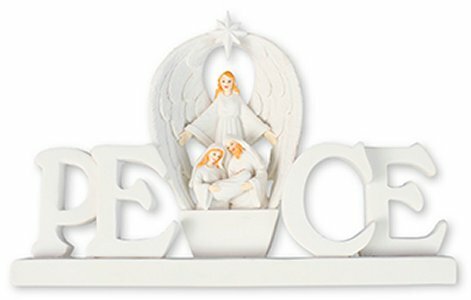 DIVINE CHRISTIAN GIFTS - Peace with Holy Family Nativity & Light. Peace with Holy Family Nativity & Light. Resin peace Holy Family nativity with lights 6" x 9" boxed.